Dr Shroff’s Charity Eye Hospital (SCEH) is more than 100 years old institution, which remains committed to serve the underserved, and thus fight the scourge of avoidable blindness/deafness that plagues the country. Working on the cross-subsidy model it does nearly 60% of the surgeries free of cost or highly subsidized every year, for the poor and vulnerable. It is a not-for-profit, Charitable Trust, firmly believing in Good Governance and complete transparency, sharing its annual financials in the annual report. 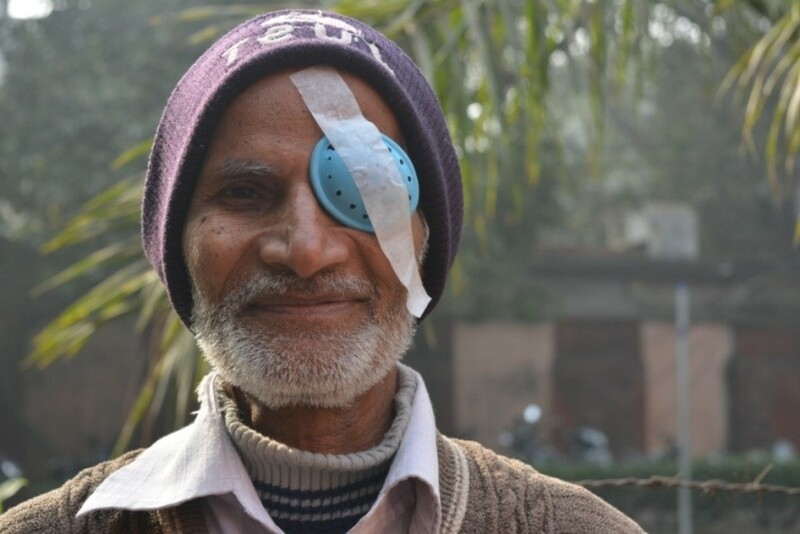 Committed to serve the poorest of poor, it strives to increase its footprint in the rural hinterlands of Uttar Pradesh and Rajasthan which have the highest prevalence of blindness in India. With its headquarter in Delhi, 4 branch hospitals at Alwar in Rajasthan; Saharanpur , Lakhimpur Khiri & Vrindavan in (Uttar Pradesh) and 20 Vision centers in rural/urban areas, the network sees more than 2,50,000 patients and performs close to 30,000 surgeries every year. In the last decade, the institute has focused on upgrading infrastructure, investing in state-of-art technology and adhering to international quality standards. To achieve the ultimate goal of achieving full patient satisfaction, the Quality Resource Center of the hospital is striving to bring a smile on the faces of patients by providing them quality in service delivery and care. SCEH’s Eye Bank is the fastest growing eye bank and largest provider of sight restoring corneas in North India. Since its establishment in 2005, it has greatly enhanced the collection of high quality transplantable donor corneas and raised eye banking performance standards in India. Its team recently got the prestigious BMJ Award for the best quality team of the year. Today it is the only NABH Accredited Eye & ENT Hospital of North India. In the last decade, it has focused on upgrading infrastructure, investing in state-of-art technology, expanding into new geographies and investing in the best training possible – nationally and internationally for it medical team. Its Certified Ophthalmic paramedic program is reducing the gap between demand and availability of trained eye care personnel in the rural areas and urban slums. Mangal Singh, a 40 years old man is a resident of Shahabad Diary, Delhi. He is a father of 3 children and the only bread earner of the family. About 4 years back Mangal’s vision started blurring but due to financial crunch he could not show to a doctor. He is a tailor by profession but due to sudden loss of vision his work had been suffering. The team from Dr Shroff’s diagnosed with him Posterior Post Polar cataract of both eyes. He was advised to get each eye operated upon. He discussed his week financial with a counselor and after counseling he was given a surgery date. He underwent right eye cataract surgery successfully. He is very happy as phaco surgery for cataract will give him best results and get him back to work in no time. A very poor and helpless mother came to Dr Shroff’s Charity Eye Hospital along with her one year old son, Arslan having Bilateral Cataract. Young Arslan’s vision was almost negligible and he would often cry as he could hardly see anything. The mother had also suffered from the same problem in her childhood and due to negligence of her parents, never got treatment on time, with the result she had very low vision. Visually challenged, she was forced to marry a rickshaw puller whose earning was only Rs 100-150 per day. She had 3 more children to fend for. She was very scared that her son would face the same hardships and grow up to be an unproductive member of the society, forever dependent on others. 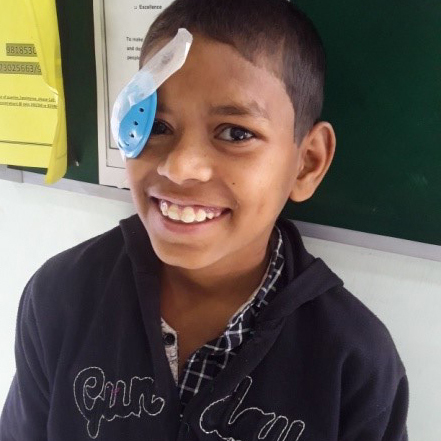 Fortunately for her she heard about Dr Shroff’s hospital and free treatment given to the needy; Arslan was treated and operated upon without further loss of time and his sight was saved. Today she is a very relieved and happy As she can dream about a better future for her son. Her heart swells up with happiness and eyes become misty when she sees her little son playing and enjoying with other siblings!